But ghostly planets and waterlogged zombies are the least of Bernice's worries. Because her friends have been hiding secrets - about who they are and where they've come from... and as Bernice will soon discover, the truth will out. Taking their newly-christened shuttle - The Irverfield - down to investigate, the trio soon find themselves confronted with a pair of childlike extra-terrestrials; Vonna Byzantium, presenter of Paranormal Planets and part-time diva... and an awful lot of dust. Mortis Dock: the last manned shipyard in the cosmos. Population: 6002. 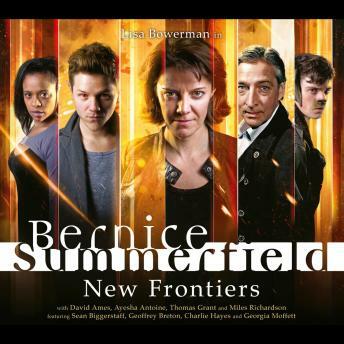 An old foe has been biding her time, manipulating the people and events around Bernice Summerfield for as long as any of them can remember... She knows so many secrets - the secrets they've all been hiding - but not everybody wants to learn the truth.